Step 1: Go to www.beatsimporter.com. 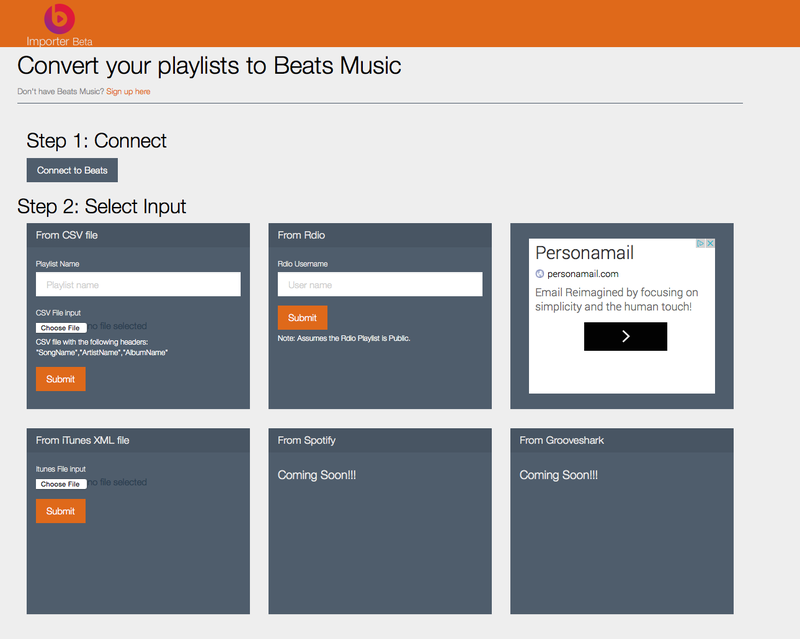 Step 2: Login to your Beats Music account via the “Connect to Beats” button. 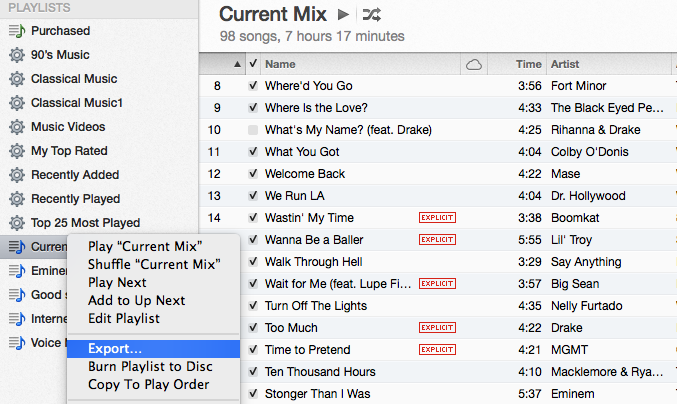 Step 3: Create an iTunes XML file of an individual Playlist. To do this, go to the left side of your iTunes Player, right click on the name of a Playlist, and click the Export option. Step 4: In the Export menu, be sure to save the file in the XML format. You should save it to your Desktop for easy access from the Beats Importer website. 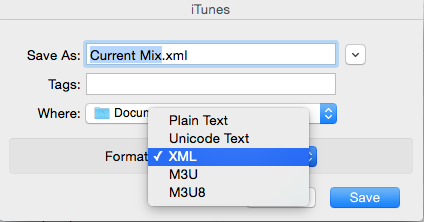 Step 5: Select the XML file you just created via the iTunes import section on the Beats Import website. Click Submit. Provide a Playlist name for Beats. Select the XML file from your Desktop again. Click Submit again. Step 6: The iTunes Playlist, after a few minutes of rendering through the Beats Importer website, should show up in your Beats Music library. Some testers are reporting mixed results, but the process worked well in my own tests. So, your milage may vary. Other Music Services: For those who use Rdio or other music services, the website allows you to import public Rdio Playlists by entering your username or you can import CSV files. 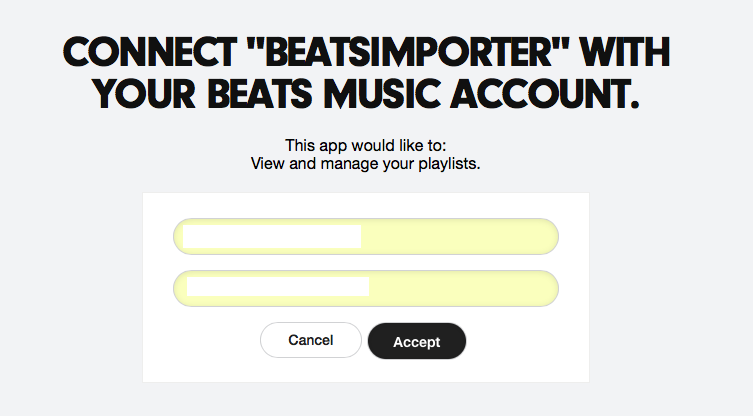 Beats Importer says that it is working on solutions for importing songs from both Spotify and Grooveshark to Beats Music. While this (beta) solution seems to work (at least for now), Apple and Beats should work together on making a more fluid iTunes import experience. If the music market is moving to a streaming model and if Apple is investing heavily in the future of its music business, it should create an easy-to-use solution for its customers to move to Beats Music streaming as well. The Apple acquisition of Beats is planned to close in Q4 of this year, so hopefully the two companies have a solution ready around that time.